The club has traditionally been the haunt of many Japanese and Korean members – indeed the original A/B Course was designed by ‘The Tower’ Isao Aoki. Nelson & Haworth, who designed Century Seaview, Xili, Sheshan International in Shanghai among others, were given the task of revamping the A/B course as well as adding the newer C course. Excellent job they did too! 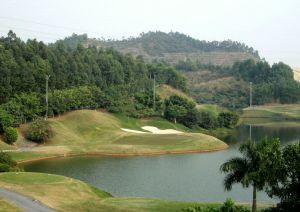 The club (A/B Course) was the venue for the 2006 Volvo China Open, which England’s Paul Casey won after a playoff with fellow countryman Oliver Wilson. The club is well equipped and, as far as golf clubs in China are concerned, pretty trendy decorated as well with plenty of glass and light wood effects. Service is pretty good and not as snotty as I was expecting, given the exclusiveness of the place. 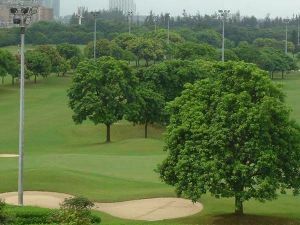 Shenzhen Golf Club (SGC) is one of the first golf clubs in China, established as early as in 1985. It is also the closest club to Hong Kong as it only takes 10 minutes on a taxi and about 20 RMB from the Huang Gang Border. 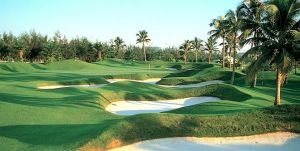 Shenzhen Golf is not yet in our pool of Golf Courses for orders.